The Antelope County Board of Supervisors voted in favor Tuesday morning of allowing a Chicago-based company to build a new wind farm near Neligh. 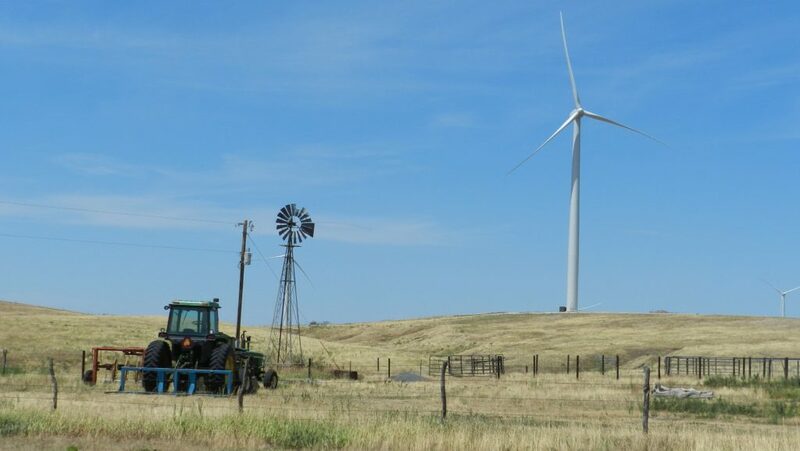 The county board voted five in favor, one opposed and one abstention in support of Invenergy’s proposed wind farm that would be located generally in the northern half of the county and expected to have about 160 wind turbines. Continue reading. Photo of a Nebraska farm by Caroline Jezierski. Archived article about Invenergy’s Prairie Breeze III Project: City of Grand Island announces first renewable energy purchase, signs agreement with Invenergy for Nebraska wind power, June 25, 2015. Wind sweeping down the plain? Use it. Written by Christian Science Monitor’s Editorial Board. This entry was posted in Nebraska / Midwest News, NewsBlog and tagged Invenergy, renewable energy development in Nebraska on June 8, 2016 by Helen Deffenbacher.